I wanted to take a few minutes to catch you up on life in North Carolina this week. Do you use Instagram? Katja, my editor, made this graphic for my "7 reasons why I travel with my Intel Tablet" post on Skimbaco Lifestyle. She's a wiz at making graphics, and at Instagram. 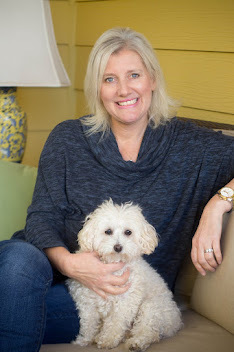 She's writing an Instagram book, and was recently featured by Fodor's as a travel account to follow. If you do follow me on Instagram, I have made a few changes to my feed so that it is more in line with the travel and leisure portion of my blog as well as my work for Skimbaco. 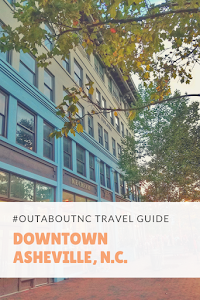 This feed will now take you around my hometown, areas in North Carolina, and wherever my travels may take me outside the Tarheel state. The feed will still feature things associated with this blog outside of travel, but if you want to see more photos like this one.....the zebra meets the Flamenco Dancer then you may want to follow me on my @LeighPHines account. 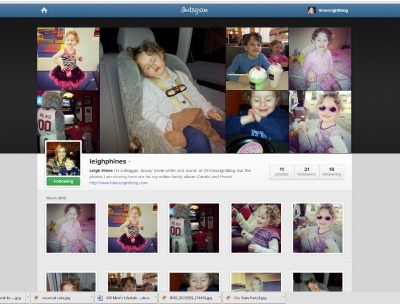 Family photos will be on the LeighPHines Instagram feed. 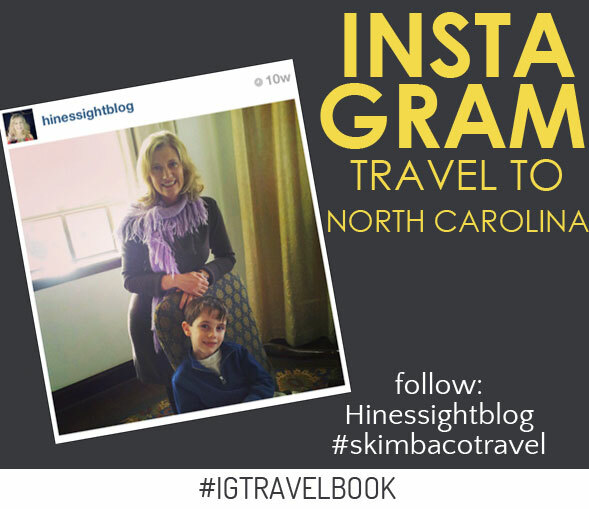 Family travel will still be part of my Hinessightblog Instagram feed, but as you know, I'm also a mom and I like to take photos on a whim. 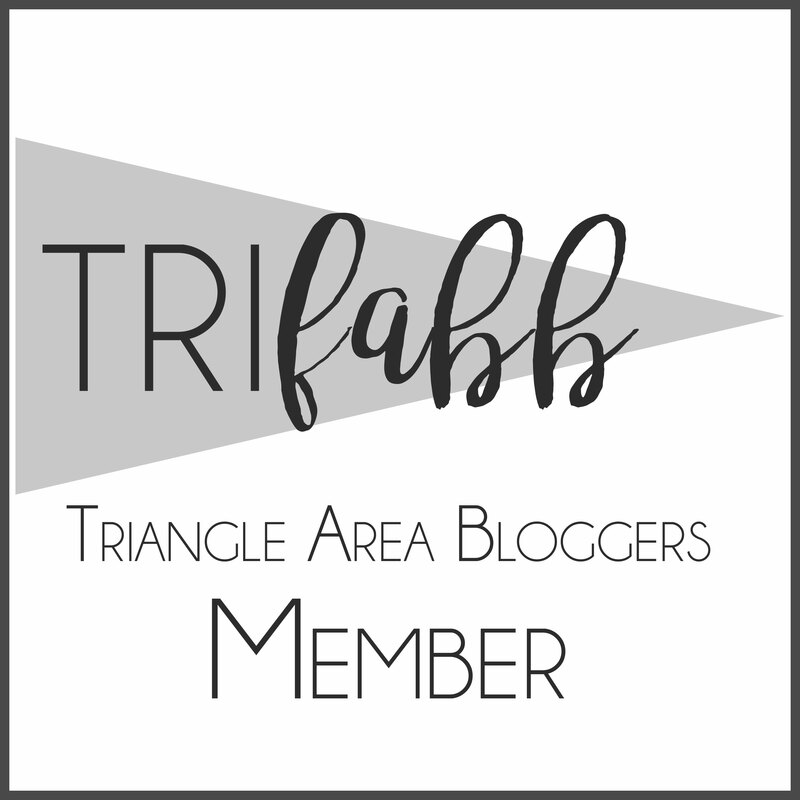 Since readers for the travel portion of my blog have grown, I felt I needed another feed that captured just the Hines, and the Southern parenting tales portion of my blog. This account was born last week. 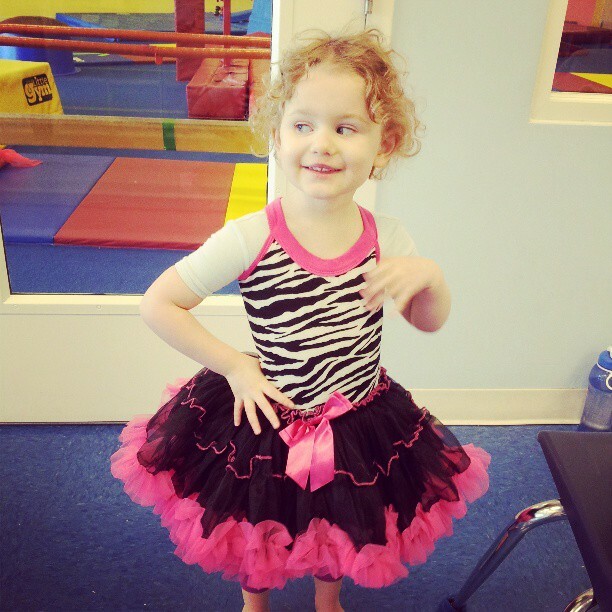 And that new exotic little number that the Diva is wearing in the photo will be her dance recital costume this year. Of course, she loves it! I am a March Madness fan. Don't be surprised. I'll be writing less, and watching more basketball. Go Tarheels! Go NC State! Yes, you read that right! I'm a Carolina graduate, but I also pull for the Wolfpack of NC State. It's Will's alma mater. 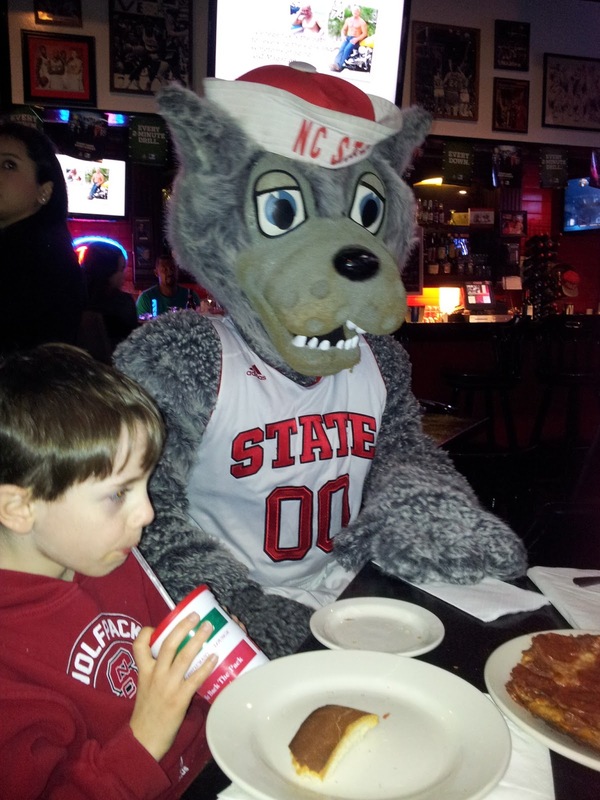 I had the honor of spending some time with this furry guy at Amedeo's Italian Restaurant in Raleigh the other night for the NCAA selection show. I was thrilled. I love Mr. Wuf! No doubt! I was in mascot heaven. I got a big plate of spaghetti and meatballs, and enjoyed some great family time. 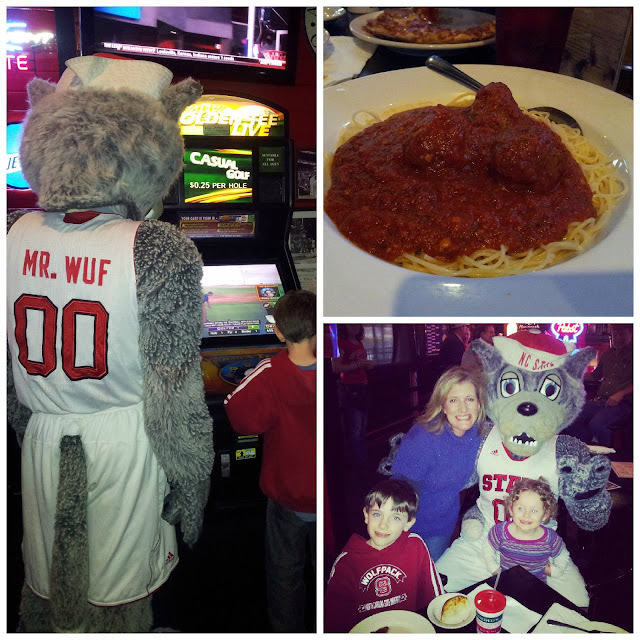 Mr. Wuf played video games with my kids, and even tried to eat our pizza. Who's afraid of the Big Bad Wolf? Not us. He was welcome at our table at Amedeo's Italian Restaurant in Raleigh. He's got great taste. Amedeo's has been serving NC State fans since 1963. The entire restaurant is a shrine to NC State athletics. If you decide to go, order the cheese bread! I always get angel hair pasta with meatballs. I need to branch out, but I can't seem to resist that one dish. Mr. Wuf even opened my car door for me when we left. I think he likes me. I hope Mrs.Wuf and Mr. Hines don't get too jealous. I'll be back on Friday with a Skimbaco Lifestyle giveaway. See you then.